Lead Picture: Winners of the 2016 DIAR Award (l-r) Phil Cannings, Emma Berry, Capt. Salim Alhakmani and Nabila Ramdani with Abdulla Al Ansari, H.E. Mirza Al Sayegh (third from right) and Masoud Saleh (far right). Emma Berry has scooped the top award in the 2016 Dubai International Arabian Races Journalists Competition with a first-time entry. Staged under the patronage of His Highness Sheikh Hamdan bin Rashid Al Maktoum, the Dubai International Arabian Races (DIAR) is a European showcase for Arabian racing staged annually at Newbury Racecourse in July, which has inspired a series of international Arabian contests run under the DIAR banner and sponsored by Shadwell in countries as far afield as Australia and the USA. Berry, whose article titled ‘Arabian World Series a Growing Force’ appeared in Thoroughbred Daily News where she was appointed European Editor almost 12 months ago, wins an all-expenses paid trip to Dubai in 2017, £2,000 in cash and charitable donation of £2,000 which will benefit her nominated cause, World Horse Welfare. Berry, who received her award from H.E. Mirza Al Sayegh, Chairman of the DIAR Committee at a special ceremony held in London today said, “I am thrilled to win this award and grateful to the organisers and sponsors for making it possible. The format of the competition, which was introduced in 2009, was revamped this year and restricted to just three categories – Print Media which includes articles published online, Digital Media encompassing video and social media platforms and Photographer of the Year. 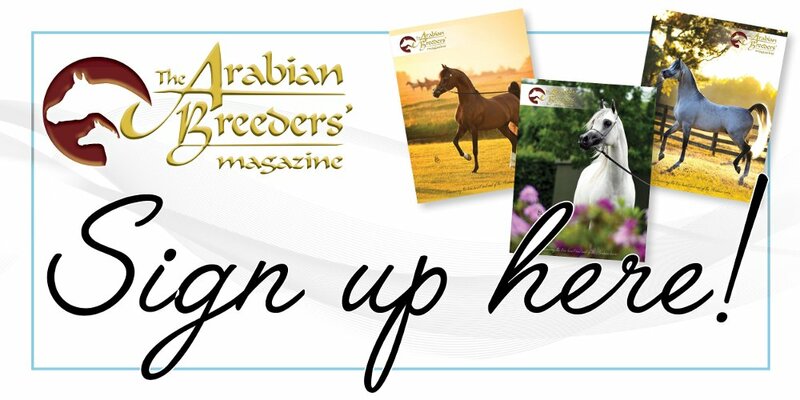 Each category carries a first prize of £2,000 plus a runners-up prize, with the trip to Dubai being awarded to the category winner whose submission, in the opinion of the panel, contributes most to the promotion of Arabian racing. Nabila Ramdani who was among the prize winners in last year’s competition and entered two categories this year, took first prize in the Digital Media category for her insightful and comprehensive event review posted on YouTube, while Newbury Weekly News photographer Phil Cannings won first prize in the photographic competition for his high-angle shot of the crowds gathered for the judging of the Arabian Rainbow competition. The panel of judges chaired by Abdulla Al Ansari comprised Shadwell Stud Director Richard Lancaster, Newbury Racecourse’s Head of Communications Andy Clifton, leading UAE journalist and publisher Mohammed Taha, Arabian Racing Organisation Director Genny Haynes, and Sportsguide’s Managing Director Philip Brannan. Inaugurated in 2015 to mark the retirement of His Highness Sheikh Hamdan Al Maktoum’s long-standing trainer, Gill Duffield, the H.H Sheikh Hamdan Special Recognition Award is presented annually to an individual or organisation considered to have made an outstanding contribution to Arabian racing and breeding during the past 12 months. Announcing this year’s winner, The Royal Cavalry of the Sultinate of Oman, H.E Mirza Al Sayegh, Director of the Office of His Highness Sheikh Hamdan said, “His Highness is passionate about the Arabian horses and is delighted to acknowledge the outstanding contribution made to the promotion of Arabians by Brigadier-General Abdulrazzaq Al Shahwarzi and his team. “Their troop of 100 horses was among the top attractions at the Royal Windsor Horse Show earlier this year as part of Her Majesty The Queen’s 90th birthday celebrations, introducing many new people to the breed. The award was received by Capt. Salim Alhakmani for the Royal Cavalry of Oman.